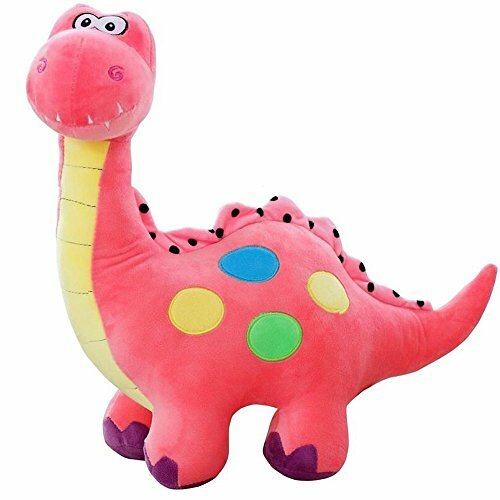 Click here to see all my favorite pink dinosaur toys from Amazon at a glance. 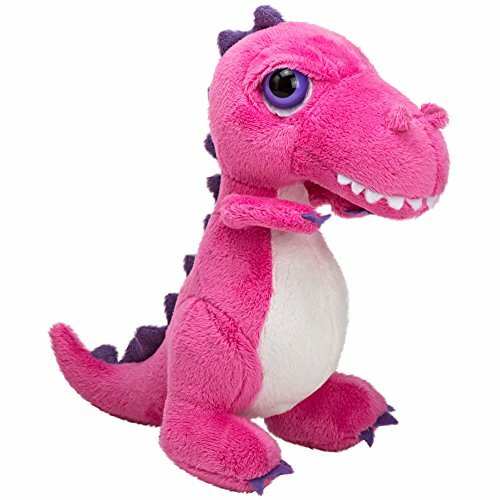 I searched through both Amazon and Etsy and found these eleven pink dinosaur toys. 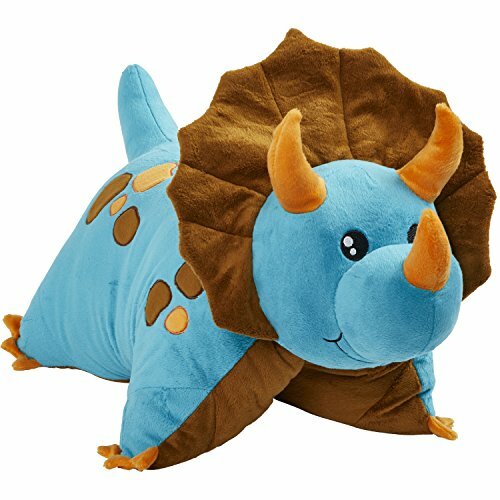 Unlike some dinosaur toys, these dinosaurs are not meant to be scary or destructive. Rather, they are cute, friendly, and fun. 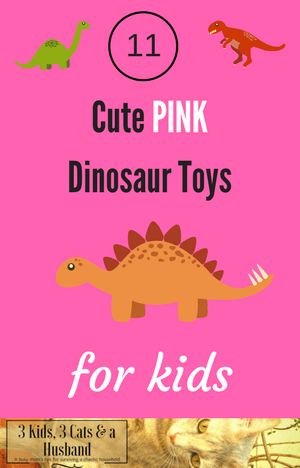 Little girls would love these toys, but at least two of them would be completely appropriate for adult females who like dinosaurs — the color pink. 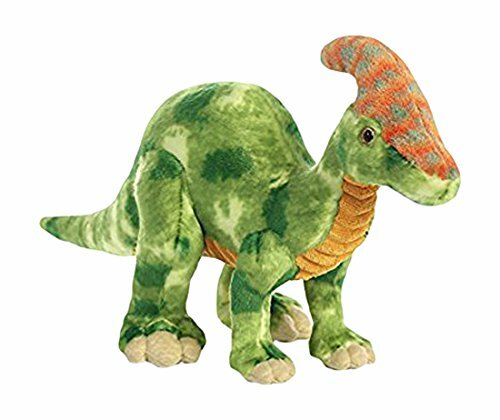 This polka-dot dinosaur is so cute! It (she?) 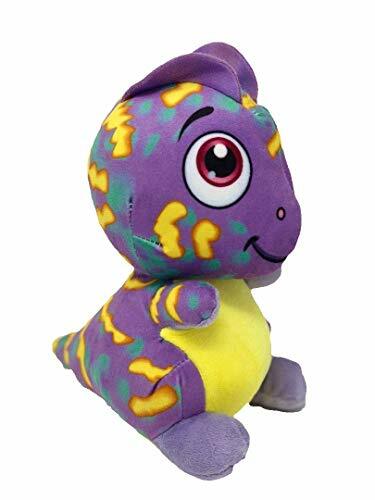 stands at 18 inches tall, has a yellow neck and belly, purple feet, and green, orange, and blue polka dots. The colors are bright and it is soft and cuddly. It ships vacuum-packed, and arrives looking flattened, but don’t worry — it fluffs right back up within a few hours. ✅ Read a 5-star customer review with photos. However, not everybody liked this little guy (girl? ), giving a ONE star review. 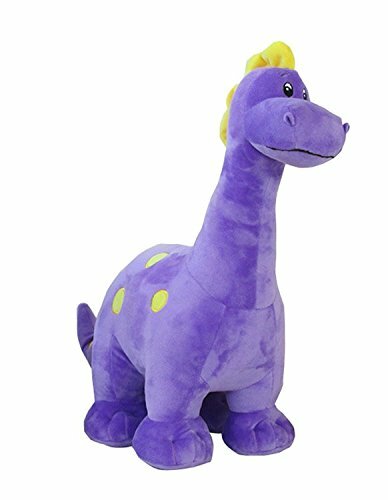 Amazon reviewer Lauren Osborne said that the dinosaur itself “would be absolutely amazing” if not for the poor packaging it was in. Her daughter was disappointed in the result. ✅ Read Lauren’s review with photos showing the problem. Pillow Pals are great. They’re a stuffed animal that doubles as a pillow. 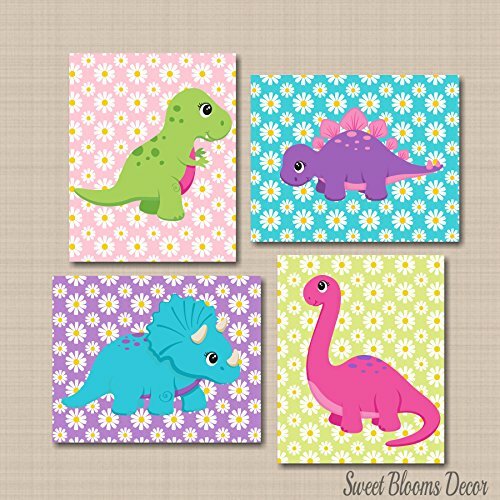 Not only are they cute, but they’re particularly handy for kids to take along with them to a sleepover, or even to make a long car ride more comfortable. 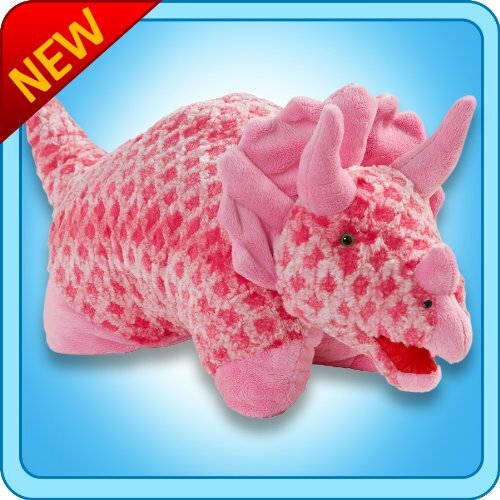 This pillow pal is a pink triceratops that fastens with a velcro closure. It’s machine washable, fluff dry. This is the kind of toy that can be for any age. I’m not ashamed to say I even have a pillow pet myself. 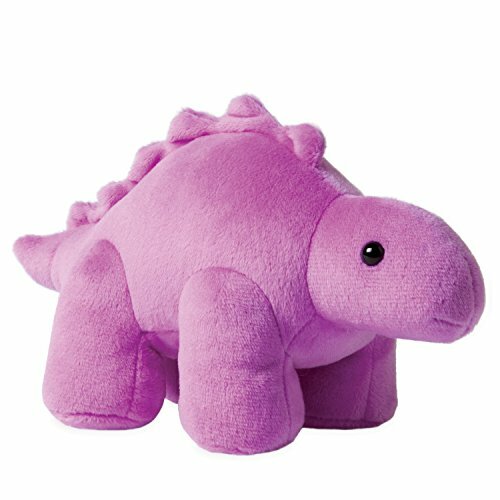 Here’s a pink dinosaur soft toy that you can have embroidered with your name (or maybe the dinosaur’s name?) You can choose between five different font styles and fifteen different font colors. There is room for up to fourteen characters. 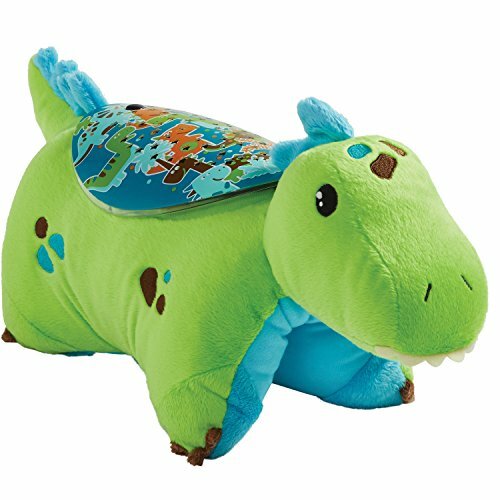 The dinosaur is easily washable and has two pods through the bottom zipper that the stuffing comes out of. It also comes in blue, if you’re shopping for siblings and don’t want the colors to be identical. 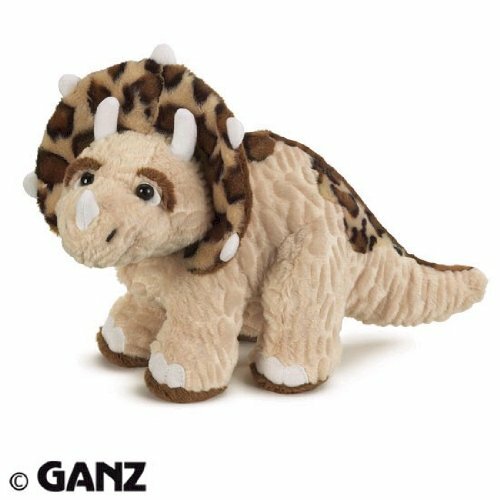 My kids were all crazy about the Webkinz stuffed pets when they were about seven or eight years old. 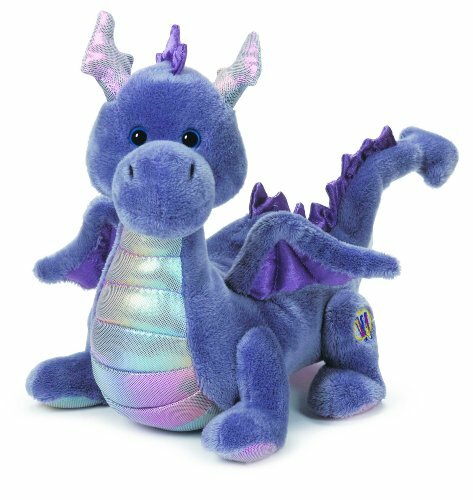 Each one comes with a special “adoption code” that kids can enter in the Webkinz website and play games, take quizzes, and even “virtually buy” food, furniture, and toys for their pet. 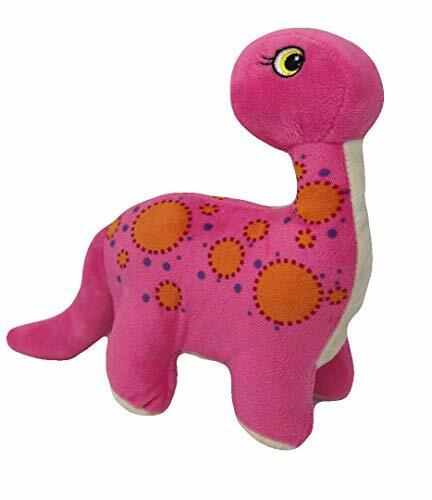 Even if you’re not crazy about the idea of your kid spending time online and skip that part of it, this is still a good choice as a soft, washable pink dinosaur for little ones. It is seven inches long, which many reviewers described as being the perfect size — not too big and not too small. 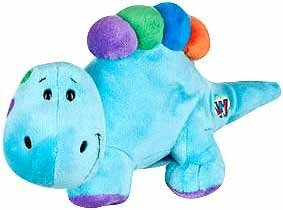 ✅ Click here to see all the best-rated Webkinz dinosaurs on Amazon. We all know that stuffed animals are cute and fun, but studies show that they might also significantly help your child’s well-being and development. 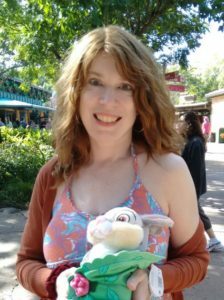 According to an article in Psychology Today, people who feel excluded or lonely have both a rise in positive emotions and friendlier behavior (such as being generous to others) after spending some time holding a stuffed animal. Stuffed animals — especially ones with full cheeks, large foreheads, and/or maladjusted limbs — bring out the nurturing and caring side in humans. And the most interesting thing I found was that stuffed animals can help inspire your child to read! 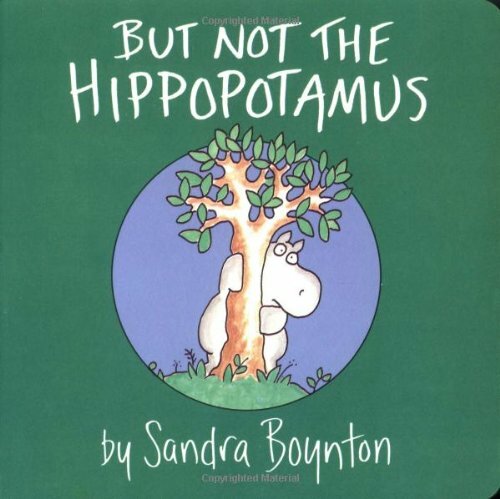 The next day, the children were not only given copies of these adorable photos, but they also were given a copy of one of the books their animals “chose” to read. Sure enough, the children started reading the book to their stuffed animal! 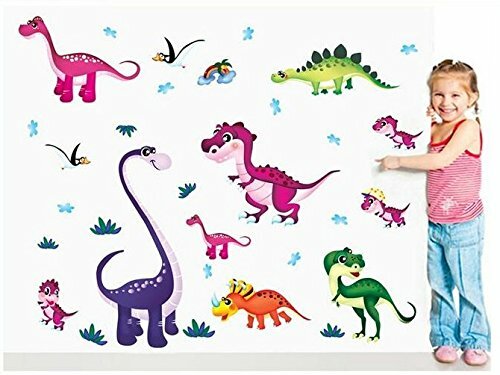 So consider taking one of these dinosaurs along the next time you and your child go somewhere to pick out books. 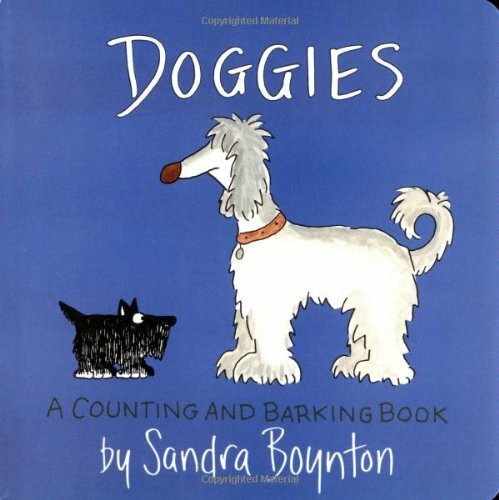 This is one of the many books our family loved written by Sandra Boynton. 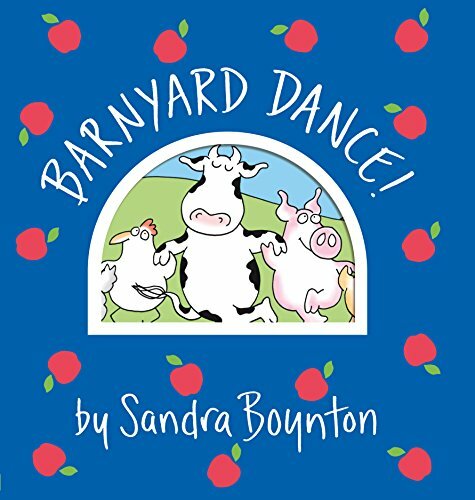 Like all of her books, it’s cute, silly, and has adorable and colorful illustrations. 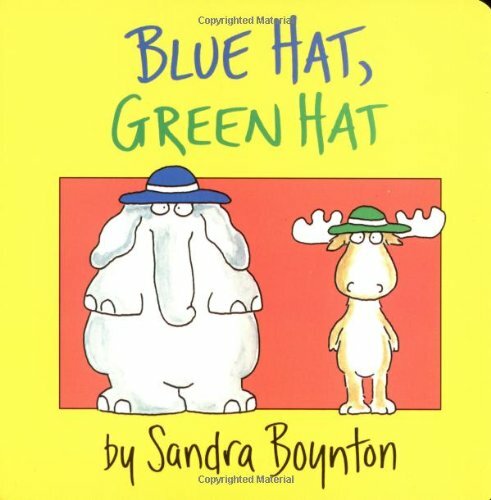 We owned at least six of her books when my kids were little, and used to regularly get many more from the library. This is another one we owned when the girls were little. 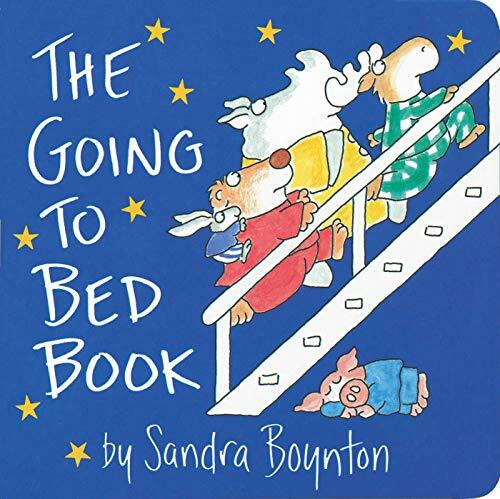 It’s a “touch and feel” book, meaning every page has the texture of the binkit — uh, I mean, blanket — that kids can rub their fingers against. Some kids really love that extra sense of touch in their board books! 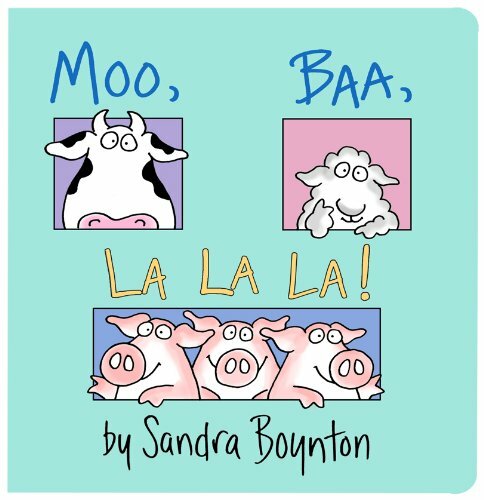 ✅ See all Sandra Boynton’s books here. 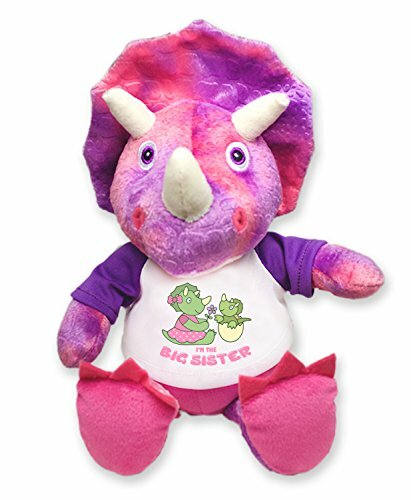 If your little girl is going to be reading to her little pink dinosaur friend, then she might like a book about a pink dinosaur, right? 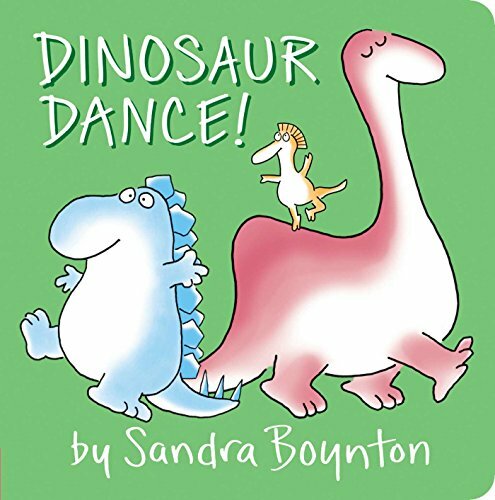 And look — Sandra Boynton has another cute dinosaur book, Dinosaur Dance! 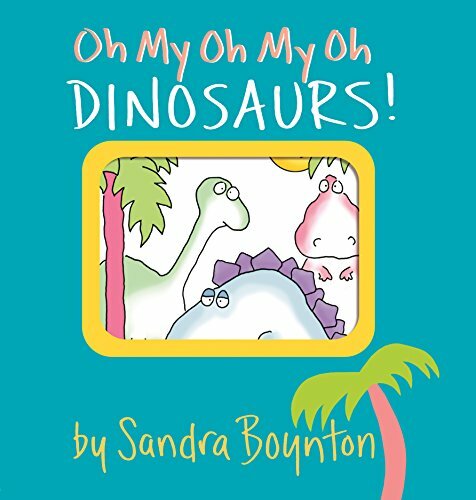 with a pink dino right on the cover! 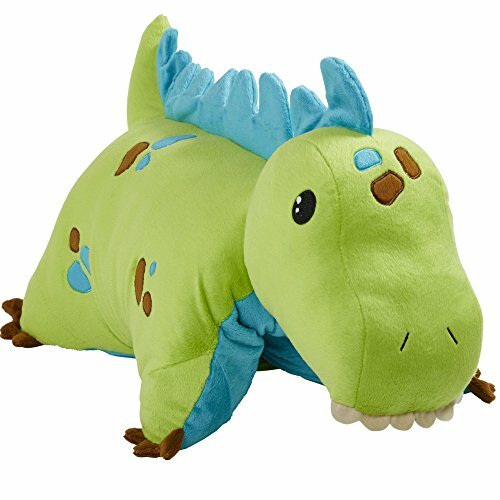 At some point, you’re going to have to take your child’s beloved dinosaur friend away for a little while so they can take a bath. But the last thing you want you to do is damage it. How do get it clean without causing unneeded wear and tear? First of all (and I admit that I never did this myself), you should regularly vacuum your kids’ stuffed animals. Even if they look clean, they’re collecting dust and mites, so rub them a little with a cloth to loosen the dust, then give them a quick once-over with your vacuum hose and attachment. 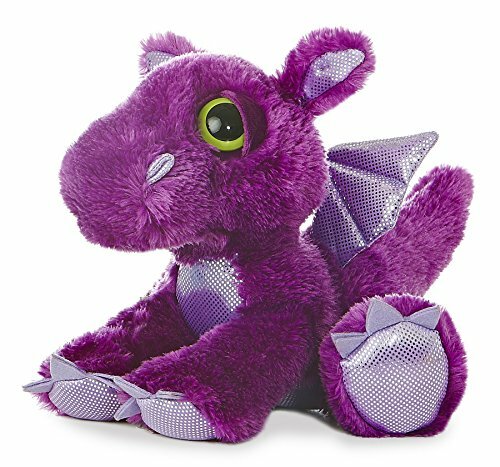 Most stuffed animals can go in the washing machine and dryer, as they as they don’t have a music box, glitter, delicate clothing or hats that can’t be removed, glitter, or a styrofoam ball inside (I’m looking at you, Beanie Babies.) You also might want to avoid machine-washing animals that have been so well-loved over the years that they look too weak to withstand the machine. I often washed my kids’ stuffed friends in a pillow case, but these dryer bags also protect them well and come with a special set of “wash balls” which rub your clothes (or animals) gently while they’re being washed. They come in handy for other things too — the biggest bag in the set can hold a sweater, dress, or blanket. So what if you have a stuffed animal that can’t be put through the washing machine? Well, here’s a little trick I just learned: Put it in a big plastic bag, pour in about half a cup of baking soda, shake it and let it sit for about 15 or 20 minutes. When time is up, shake it off and vacuum it if you’d like. Voila! 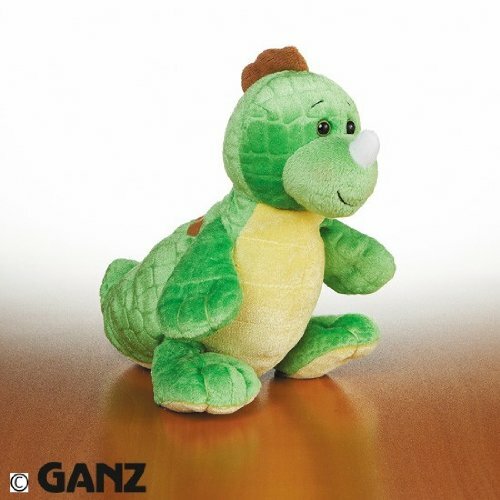 Your child’s stuffed friend is clean and sweet-smelling! Is there anything baking soda can’t do? 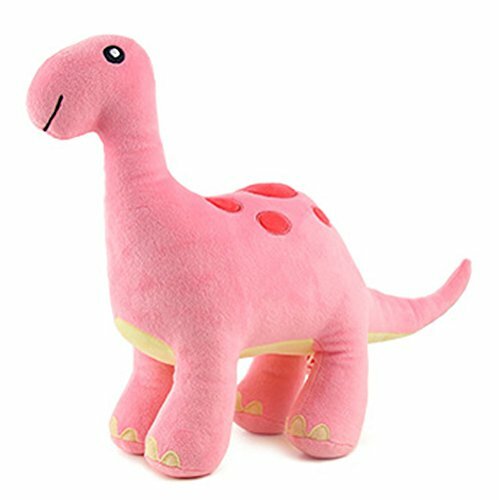 This adorable pink dinosaur pendant comes in a hinged, velour gift box that is pretty enough to be a lovely decoration in and of itself. The necklace itself has an 18 karat gold finish and is lead safe. 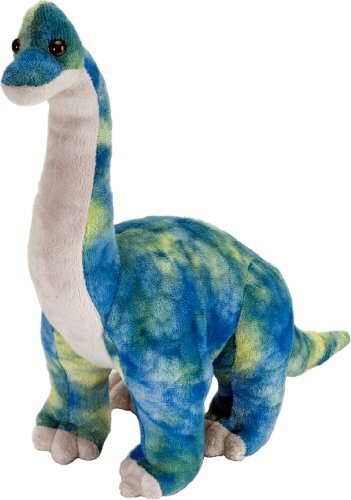 It is listed as being for ages 3-15, but one adult Amazon reviewer who loves dinosaurs raved about it being a great gift that she got from her husband. 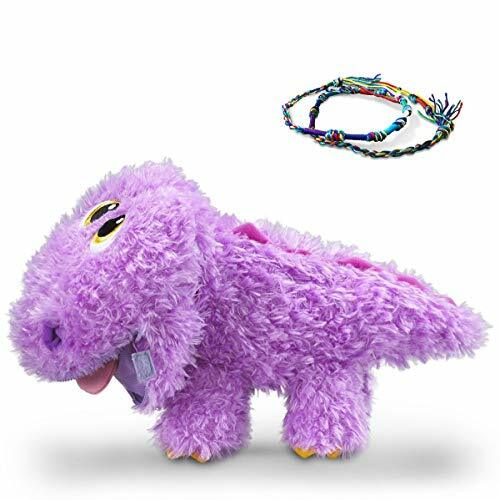 ✅ Click here to see a similar pendant as a brontosaurus. 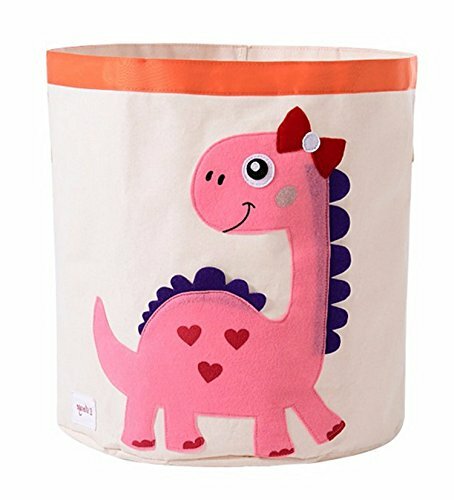 This dinosaur bank isn’t exactly a “toy,” but it is pink and cute and definitely something that would make a girl happy. It is twenty inches tall and made of high gloss painted wood. The dinosaur “eats” the coins when you put it in his (her?) mouth, and you can watch it travel down the track into the clear, belly, which can later be opened by unscrewing the center bolt. Being able to see the money accumulate over time is a great incentive for saving. This would be a great gift for a girl who has just started receiving an allowance or who is saving up for something special. 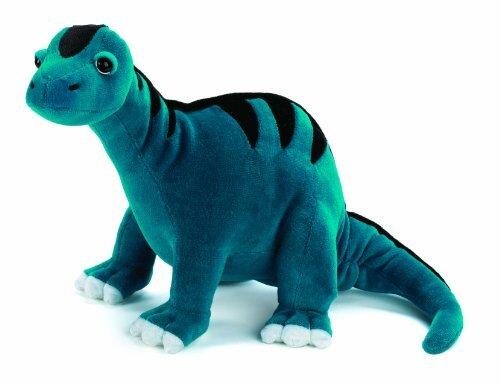 ✅ Click here to see this dinosaur bank in other colors. When my two girls were little, they loved dressing up — not just as princesses, but as anything! I remember going to the library one day with one of them dressed as Barney the Dinosaur and the other dressed as a Teletubbie. Who says you can only wear costumes on Halloween? This is the kind of costume I like! (In fact, I have a costume like this of my own, only in tiger form.) It’s cute, it’s comfortable, it even works as pajamas! One smart thing is that this costume has a rear zipper, so that girls don’t have to get completely undressed every time they have to go to the bathroom. Here’s an adorable costume for babies and toddlers. It comes in four different sizes and is machine washable. 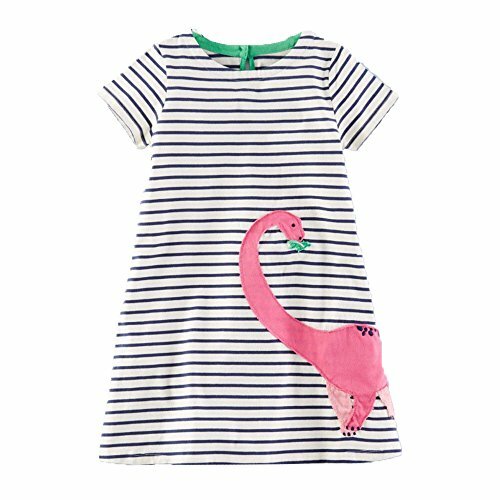 Not surprisingly, there’s a lot of cute pink clothing out there for baby and toddler girls … and some of them have dinosaurs! 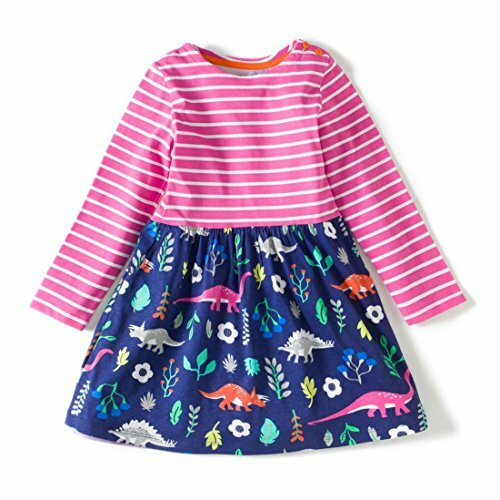 Here are some adorable outfits that come in various sizes to fit girls from newborn babies to 24-month old toddlers. 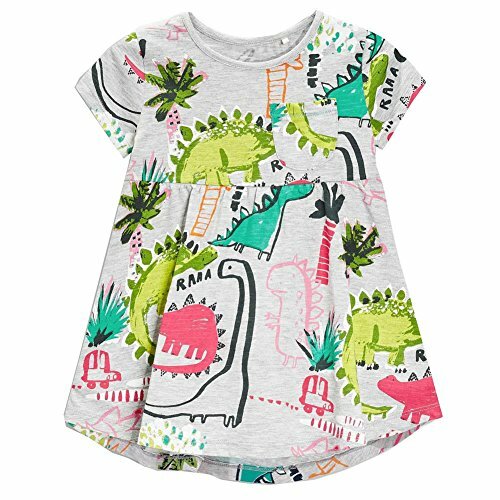 This cute, short sleeve dinosaur print summer dress is just the kind of thing they both would have loved. It’s casual enough to wear everyday, but could also work for special events like a birthday party or a photo shoot. My girls took dance lessons when they were little and loved to wear their dance costumes and tutu dresses. They would have put on a pair of butterfly wings, grabbed one of their dress-up wands, and happily danced all over the house! 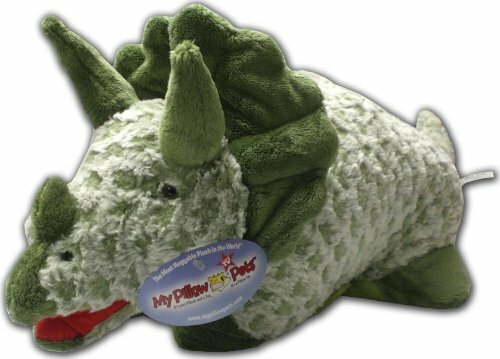 It is stuffed with hypo-allergenic stuffing and is machine washable. The girl in this photo kinda cracks me up! 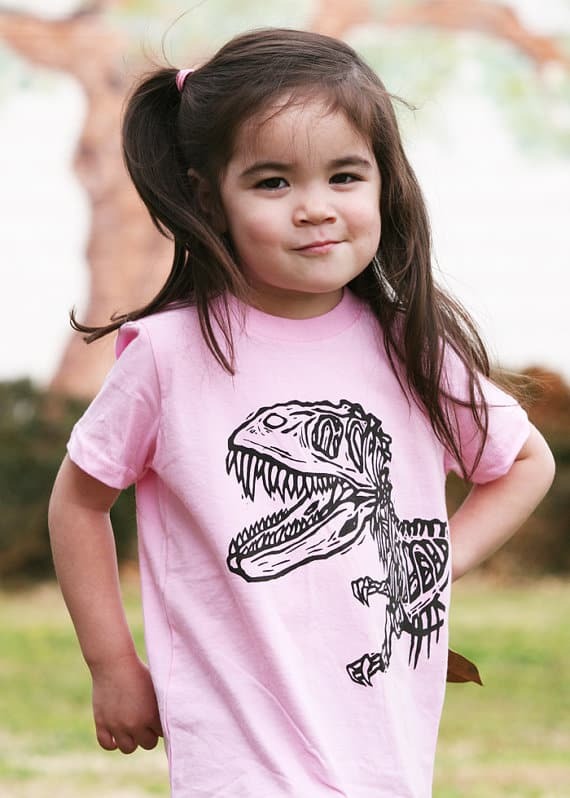 She is showing her dino love by wearing a 100% cotton t-shirt. 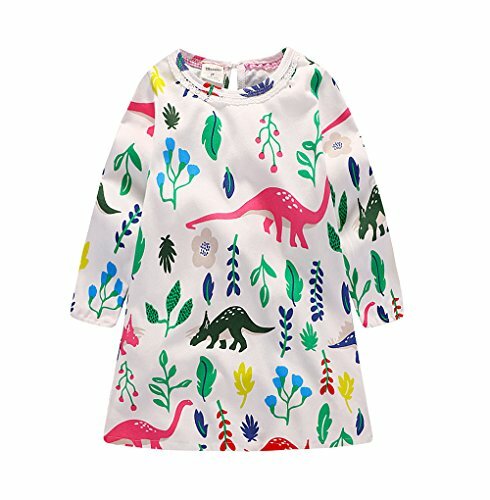 It’s available in sizes from 2T(oddler) to 2Y(outh). Who doesn’t want cute, fun shoes? 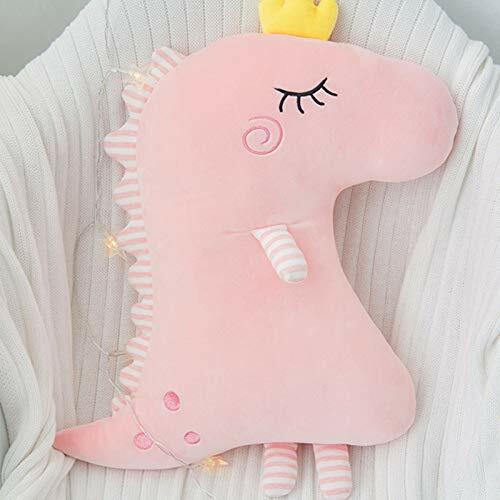 If you know a girl who’s really crazy about pink dinosaurs, maybe she’s like them near her even while she sleeps! 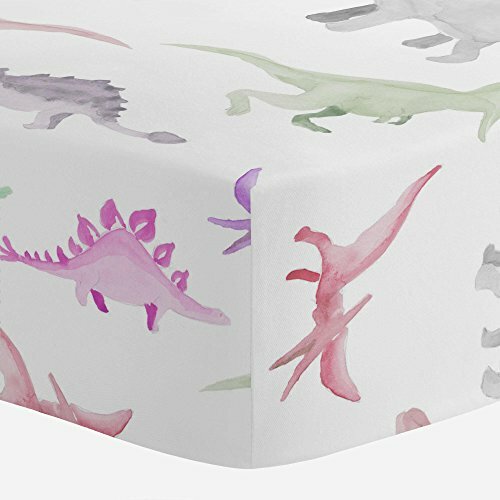 I was able to find this fitted bedsheet for toddler mattresses sized 28 inches by 52 inches. You can also order this matching pillowcase separately. 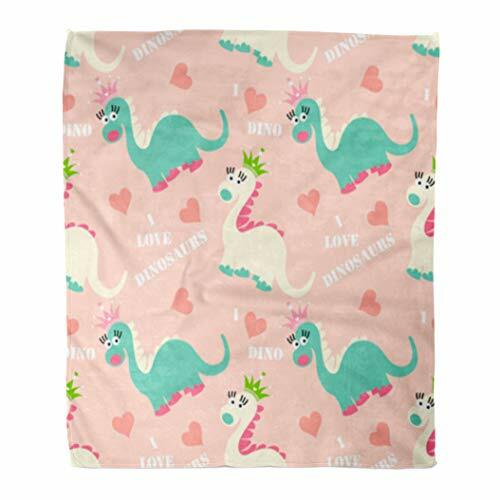 And this is a cute blanket that measures 40 inches by 30 inches and is made of super soft, fleece. 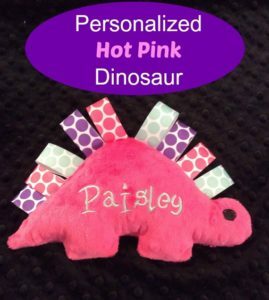 It can be personalized with the girl’s name and used as a blanket at home, for the car (my kids always needed plenty of soft things on long car rides), or nap time at preschool or daycare.